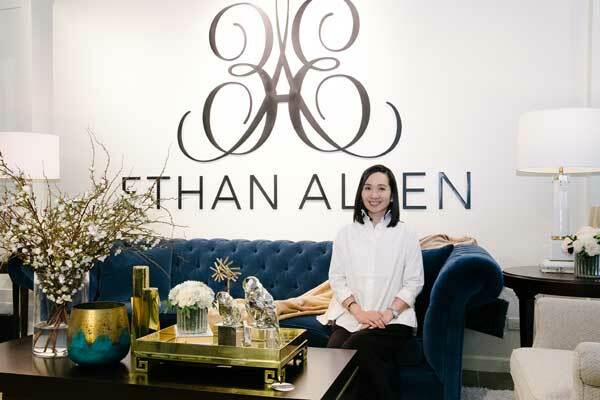 In addition to offering high quality home furniture and accessories, Ethan Allen sparks joy in every home as it recently hosted a KonMari workshop with the country’s first and only certified KonMari consultant. Lifestyle influencer and KonMari consultant Christine Dychiao led the workshop, attended by Ethan Allen VIP clients and other lifestyle influencers, and discussed the principle and the life-transforming effect of the KonMari method. Dychiao trained under the team of Marie Kondo in Chicago. She has worked with numerous clients in their organizing journey and is a religious practitioner herself. She shared tips and tricks on decluttering and specific KonMari techniques homeowners can apply in their household such as the KonMari folding method. Ethan Allen Powell Double Dresser has spacious drawers, perfect for storing clothes, beddings, and towels. During the workshop, Dychiao also highlighted “KonMari-approved” Ethan Allen pieces that are perfect for organizing the home while keeping it stylish at the same time. Such pieces that hold generous storage and room is the Jocelyn Etagere, a tall and statement piece that can beautifully display books and accent pieces. The Powell Double Dresser that leaves a lot of room to store clothing and bedding, among others. And the Brandt Buffet, which is the perfect piece to store delicate dinnerware. Guests were also toured around the showroom to view the latest Uptown Collection. Ethan Allen’s showrooms are at Twenty-four Seven McKinley, 24th Street cor. 7th Avenue, BGC, Taguig; and at Pioneer Street cor. Reliance Street, Mandaluyong City.